If you have an asphalt parking lot, don’t wait for it to fall into major disrepair before getting in touch with paving contractors and asking about replacing it. From attracting more customers to saving money on repairs, there are plenty of reasons to repave a lot that’s taken on some wear and tear over the years. When you own a business, you want your property to look its best. Even if they’re not conscious of it, most people make immediate judgments about a business the moment they see it. If your asphalt parking lot is free of damage and your grounds are well-maintained, they’ll associate your business with professionalism and convenience. On the other hand, if your asphalt is riddled with cracks and potholes, it doesn’t matter if you deliver quality service—they’ll still perceive your company as being less-than-professional. This can discourage potential customers from visiting. Those that do visit may not come back if they have an unpleasant experience trying to navigate your lot without running over potholes. Even if you don’t operate a retail store, you still don’t want clients to visit your offices and find that they’re poorly maintained. Why do so many companies have office dress codes? Among other reasons, because clients may drop by, and you need to make sure your workers and facilities reflect your trustworthiness. You should keep your parking lot in good shape for the same reason. Curb appeal is essential to your success. It helps ensure your customers associate your brand with positive traits. Take a look at your parking lot. Honestly assess its quality. If it could look better, call a parking lot paving company and have it repaired or repaved. 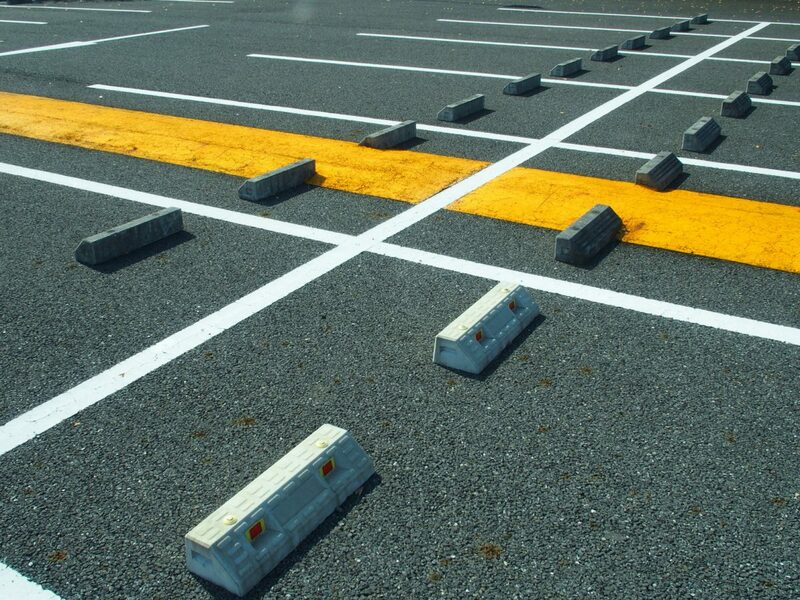 Customers and clients aren’t the only people to notice how your asphalt parking lot looks. Your employees are also going to get the wrong impression if your lot is damaged. Imagine an ideal candidate shows up for a job interview. Obviously, an interviewee wants to make a good impression on you, but you also want to make a good impression on them. They may have several other offers. Every aspect of your property and facilities should indicate to a potential employee that this is the type of place they would like to work at. When they pull into your asphalt parking lot, you don’t want their first impression to be negative. You also need to think about how your current employees react to their surroundings. Every detail of the property can impact their attitude and energy level throughout the day. If they’re constantly showing up to an unsightly parking lot, they won’t feel as though they’re truly in a professional environment. This can result in unprofessional behavior and low productivity levels. Essentially, getting in touch with paving contractors could be the surprising key to boosting worker morale and getting more from your employees. Although a properly-installed asphalt parking lot will last a long time, that doesn’t mean a long time is forever. Like any paving surface, asphalt deteriorates over time, especially in high traffic areas like parking lots. Employees and customers constantly driving over it will cause damage. The freeze-thaw cycle of winter will also result in erosion. At first, you can generally keep your lot in good condition by scheduling asphalt repair service when you notice any damage. However, your parking lot may deteriorate to the point where it is simply more cost-effective to repave it. Trying to stay on top of asphalt repairs will eventually cost more than replacing your lot with a new one. This is an especially good point to consider if your lot is very old. Start by contacting asphalt paving companies and asking about repaving your parking lot. Obviously, doing so will help you rejuvenate your brand. That said, if your rebranding attempts are successful, you’ll have a lot of new business coming your way. You want to know you have freshly-paved lot to welcome them.